Did you know the Cowichan Valley has one of the warmest annual temperature averages in all of Canada? It’s comparable to the Mediterranean, but right in our own backyard! You’ll find lush scenery, beautiful views and a plethora of activities for a family friendly camping trip. We visited the Cowichan Valley late in August and camped 3 nights in Lake Cowichan at Lakeview Park Campground. The campground had private beach access but as new visitors to the valley, we were ready to explore! After travelling across from the BC mainland on BC Ferries through Nanaimo, we ventured south towards the Cowichan Valley. A must stop along the way is Chemainus. Follow the signs for easy RV parking and get your walking shoes ready. The downtown is easily set up for mural enthusiasts with foot prints leading a tour through over 40 murals (and sculptures too!). As a bonus, be sure to check out the Chemainus Candle Company down on Maple Lane for amazing beeswax products as well as the Christmas store downtown. We didn’t plan on buying Christmas ornaments in August – but we did, twice! The Farmer’s Market is listed on all the Top Things To Do in Duncan lists, so we had to check it out for ourselves. It did not disappoint! After hitting a local coffee shop, we strolled the numerous vendors through the market, took in the performances and even bumped into Batman and Spiderman. The market truly has something for everyone. We picked up the most amazing farm bread, fresh veggies for dinner that night and the kids picked out a heaping serving of frozen yogurt – a win for everyone! As a hockey family, we also had to see the largest hockey stick and puck in the world. They even mark the perfect place to stand to capture the best “raising the stick” photo. The Lakeview Park Campground was just a few minutes from the shops and amenities of Lake Cowichan. After dinner one evening we parked at the visitor’s centre and made the short walk to the Trans Canada Trail. Even just a simple walk surrounded by huge maples and crossing the Cowichan River was captivating. The lake itself is stunning and perfect for swimming and boating. On a whim we opted for the 1-hour road trip to Port Renfrew to visit Botanical Beach. While the drive is pretty curvy, the scenery is beautiful and the destination is more than worth the wait. After a 1km walk or so down to the beach, you are greeted with an amazing view of the Pacific Ocean. Witnessing the waves crashing on the rocks is an experience like none other. The beach itself is pebbly, but the rocky shelves are home to so many tide pools. We saw anemones, urchins, crabs and starfish, just to name a few. Our visit to the Cowichan Valley was better than we could have expected. We only scratched the surface of activities available and could have easily extended our visit. Not only would we recommend this destination, but we will be sure to visit again. To locate campgrounds in the Cowichan Valley, on Vancouver Island or elsewhere in British Columbia check out the Camping Map. Lindsay was born and raised in B.C. and currently resides in Kamloops. Lindsay and her family have been avid campers since purchasing their first trailer in 2014. Whether it’s a weekend getaway or a road trip to a new destination, Lindsay loves how camping encourages you to unplug, connect with nature and focus on some good quality family time. 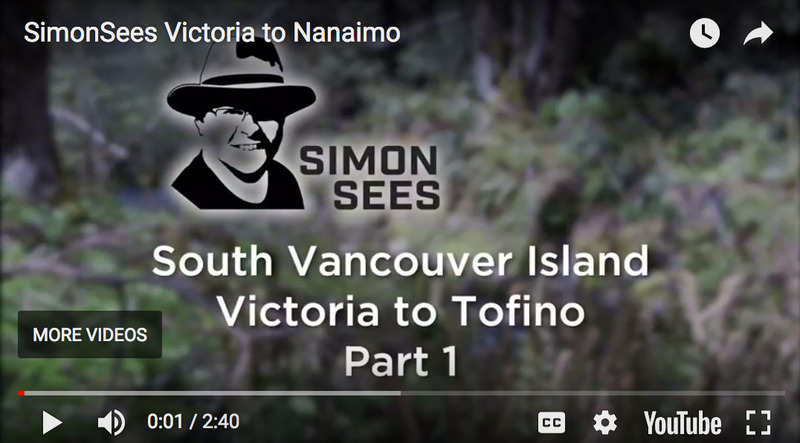 1 thoughts on "A Slice of the Mediterranean in the Heart of Vancouver Island, BC"
This was such a great adventure and I highly recommend a visit to the Cowichan Valley on beautiful Vancouver Island!